Sony today announced the final launch plans for the PlayStation Portable's comic service, whereby a range of manga will be made available to PSP owners in Japan. 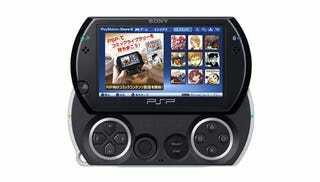 There'll be a PSP firmware update on the 19th to 6.20, which will add the comics store ahead of the service's launch a few weeks later on December 10. For the Japanese store, individual issues will cost between ¥50-150 (USD$0.55-$1.70), while collections will run for the uniform price of ¥420 (USD$4.70). Wondering about the Western service? The 6.20 update itself will be global, but Sony say the launch of the American and European comic store will be "a little later".